Matt Sims joins Samuel for the 29th episode of Winners on a Wednesday. Matt brings a very unconventional property investment to the table which is seeing him make around £60K per year off one deal. Having been involved in the events business for over 20 years and running a successful company. He decided sell the company and invest in a motor home storage business. This is where Matt first begin to gauge and interest in property. Six months before attending a crash or the DFE Matt had dabbled with properties but nothing concrete. It was until after these events that he was able to understand what it takes to execute deal and negotiate deals. The biggest deal that he was able to close was motor home rent to rent which is as unique as it sounds. This investment has been able to make Matt financially free. It sees Matt renting 3 motor homes from landlords that either didn’t want the hassle of looking after the homes or don’t use them that often. Matt’s business sees him storing the motor homes looking after them. Keeping them clean and serviced for the next person to use them. The profits are split profit 50/50 between himself and the owner of the motor homes. Being located in Bristol which is ideal as it’s situated near festivals such as Glastonbury which drives up the business tenfold when an event is near. Acquiring a deal like this isn’t found every day in order to land one similar takes vision, patience and the knowledge to say the right thing at the right time. 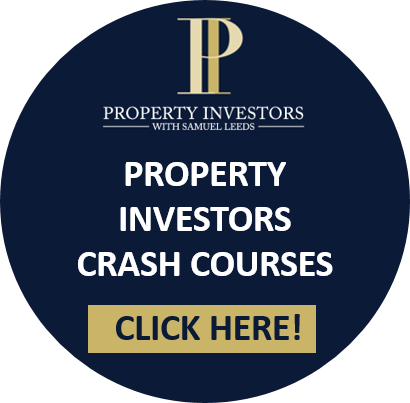 Attending Samuel’s training gives you the correct tools to build your property portfolio. Going for no is something that is preached and rings true to all successful investors. They will be times that people will tell you no but like Matt, you have to remain focus. After becoming financially free with the motor home investment Matt is now ready to get into traditional properties. He has two deals about go through and is looking at further deals in LOA and Buy-To-Lets. The key to being successful in property is education although Matt came from a very successful business background he wasn’t afraid to learn new information. Taking on the advice that Samuel and his team have been able to give him. He remains on top of his priorities by implementing a to-do list which helps plot of his time and focus on important tasks vs the urgent ones.